This Jewish girl threw a massive Easter party every year while my daughter was of egg-hunting age. A group of 12 couples with an average of 2 kids each (48 people!) would donate filled eggs, my husband then hid 500 of them in the nooks of trees and crannies of stone walls, and the kids would scamper around with their baskets. The hunt was over in minutes (all that work! ), and then we’d gather around the table for a giant ham, fresh biscuits, and homemade vats of mac and cheese. These days, I’d find feeding 50 people a daunting task, but back then I actually fooled myself into believing it was fun! Without the pile of kids the cooking isn’t as alluring, so this year I’m going for takeout. 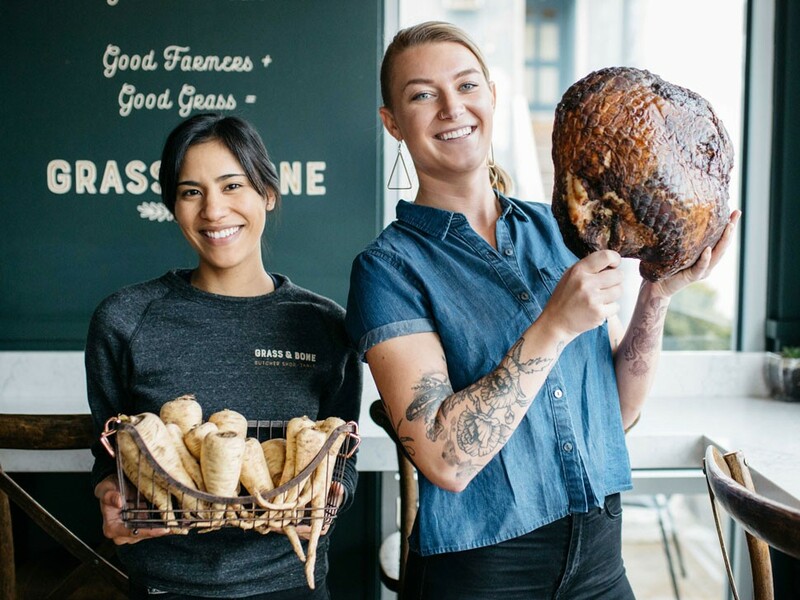 I grabbed an Easter menu from Grass & Bone, and I’ll be getting my feast from them. A spiral ham (half or whole), their ridiculous cornbread, and some creamed kale (ok, sorta healthy) and scalloped potatoes. 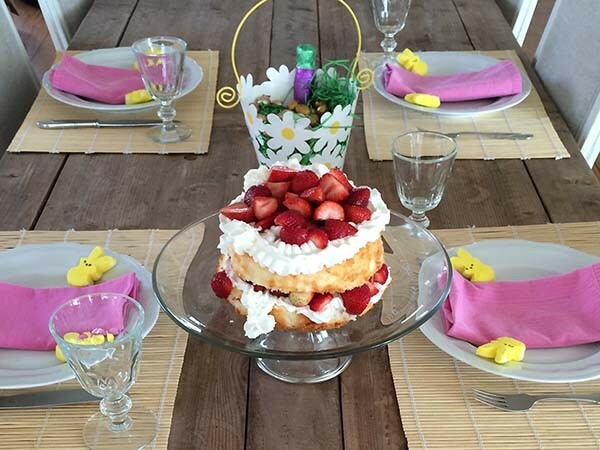 And maybe I’ll make my super easy mess of a cake (just a purchased angel food, fresh whipped cream, and strawberries). You may also like my favorite Passover recipe: Potato Kugelettes!